Jackie Thain, our receptionist, qualified as a dental nurse in May 1996. Jackie was Dr Eilertsen’s first employee taken on as an enthusiastic sixteen year old! She has worked with Margaret and Eilert since 1978. In 1997 she also qualified as an Oral Health Educator. 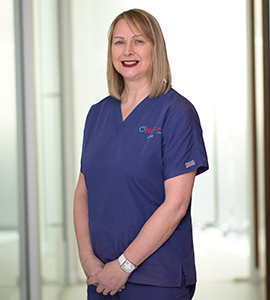 Jackie has gained invaluable knowledge and understanding of dentistry over the years. She has been lucky to work with such highly skilled dentists. When not at work she enjoys spending time with her family.